"The Lid": The IPCC's Brand New Global Warming Screw-up: Happy Earth Day? The IPCC's Brand New Global Warming Screw-up: Happy Earth Day? Today is the 40th annual Earth Day, when the Blue Bird of climate change look at every country to see if they have been environmentally good or bad. She rewards the good countries with favors and punishes the bad by pooping on their bad gas-guzzling methods of transportation. Bangladesh, must have been a good country, because a new study has proven the UN's climate change body, the Intergovernmental Panel on Climate Change (IPCC) is wrong again, and despite the IPCC prediction, Bangladesh is not about find itself under the rising ocean anytime soon. The IPCC had said a one-metre (three-foot) rise in sea levels would flood 17 percent of Bangladesh and create 20 million refugees by 2050. 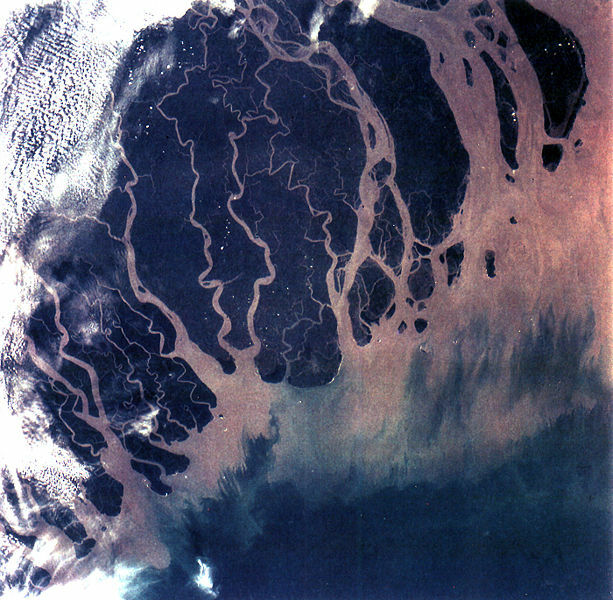 ..IPCC's prediction did not take into account the one billion tonnes of sediment carried by Himalayan rivers into Bangladesh every year, which are crucial in countering rises in sea levels, the study funded by the Asian Development Bank said. Let me take the IPCC's side for a second, how can someone expect scientists to know that rivers pouring into a larger border of water will deposit sediment. After all, not many people have heard of the Mississippi Delta, or the Nile Delta. Just because the Ganges delta, which crosses India and Bangladesh is the largest delta in the world, why would people expect the IPCC scientists to take it into account. "Based on the findings of the study, it appears that most of Bangladesh?s coastline, notably the Meghna estuary, which is one of the largest in the world, would rise at the same pace as the sea level growth," he said. The publication of inaccurate data on the potential of wave power to produce electricity around the world. Basing some of its Claims on information in press releases and newsletters not scientific study, or making statements based on student dissertations, two of which were unpublished. Other claims were based on reports produced by environmental pressure groups like the WWF (for example the panel based claims about disappearing mountain ice on anecdotal evidence in a student’s dissertation and an article in a mountaineering magazine). IPCC’s panel had wrongly reported more than half of the Netherlands was below sea level because it had failed to check information supplied by a Dutch government agency. And don't forget the screw ups about the snow on other mountain tops, the mis-used report about the shrinking rain forests or the bogus claim that global warming could cut rain-fed north African crop production by up to 50% by 2020. On top of all that is the Hockey Stick, the centerpiece of the IPCC's claim, which has had some many holes put into it source data, it can be sold as Swiss Cheese. The Global warming Moonbats claim that the climate change detractors are taking just one or two mistakes and using it to trash their theory. If there were merely one or two mistakes they would be correct. The truth is their climate change research has so many mistakes in it, I wouldn't believe their weather forecast for tomorrow. Why should anybody trust their predictions for the world climate for years to come? Seems to me that truth would be a far better position to take for the IPCC, than the lies they try and tell. I guess they thought no one would look behind the curtain.